Two hundred love messages from Leeds locals will create an ‘Avenue of Love’ at White Rose Shopping Centre this Valentine’s season, and one could be yours. White Rose Shopping Centre is asking for heartfelt messages of all types to be submitted online for the chance to see it feature in the Avenue of Love, an area of the centre dedicated to celebrating love in its many forms. Whether devoted to parents, partners, kids, or friends – two hundred of Yorkshire’s special messages will be selected and used to decorate the affectionate area over the Valentine’s period, which will be on show from 9th – 17th February 2019. 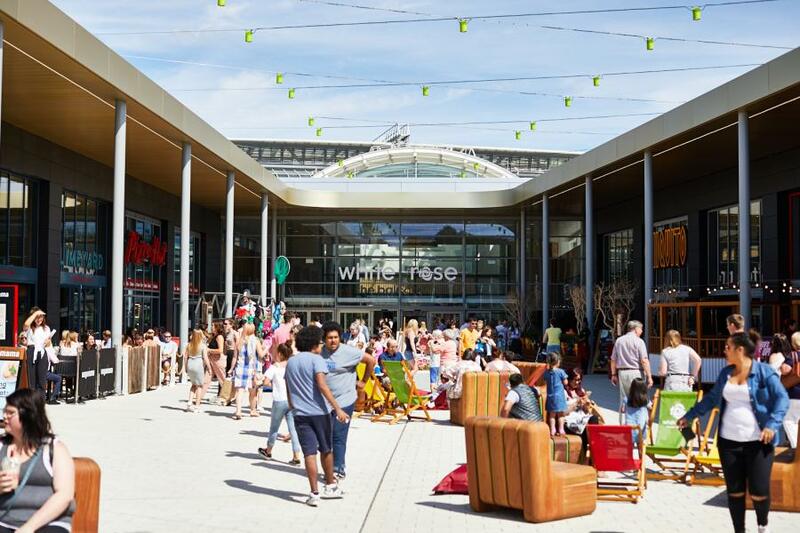 The two hundred selected entrants will also each receive a £10 White Rose Gift Card, which can be spent at more than 100 retailers and restaurants located in the centre, or used to catch a blockbuster movie at Cineworld in The Village. This comes as part of White Rose’s Valentine’s Day celebrations which will also include live musicians playing favourite love songs, free ‘mocktail’ giveaways, and a Mr & Mrs-style gameshow - the fun ‘who knows who’ quiz will put Leeds couples to the test, for the chance to win prizes and those all-important bragging rights. Steven Foster, General Manager at White Rose Shopping Centre, said: “The Valentine’s season is a perfect time to appreciate those around you, and what better way to show someone you care than having your unique message appear in our Avenue of Love. The Avenue of Love will be located throughout the malls of White Rose Shopping Centre from 9th – 17th February 2019. Messages can be submitted at Heart Yorkshire’s website, and entrants have until 27th January to submit their message for the chance to be featured. Selected entrants can claim their £10 White Rose Gift Card at White Rose Shopping Centre on 9th February 2019. The Mrs & Mrs Gameshow will take place in White Rose’s Central Atrium on 9th February from 10am-5pm, with radio DJ Rich Williams guest-hosting from 11am – 3pm.